Perfect chocolate lover gift! 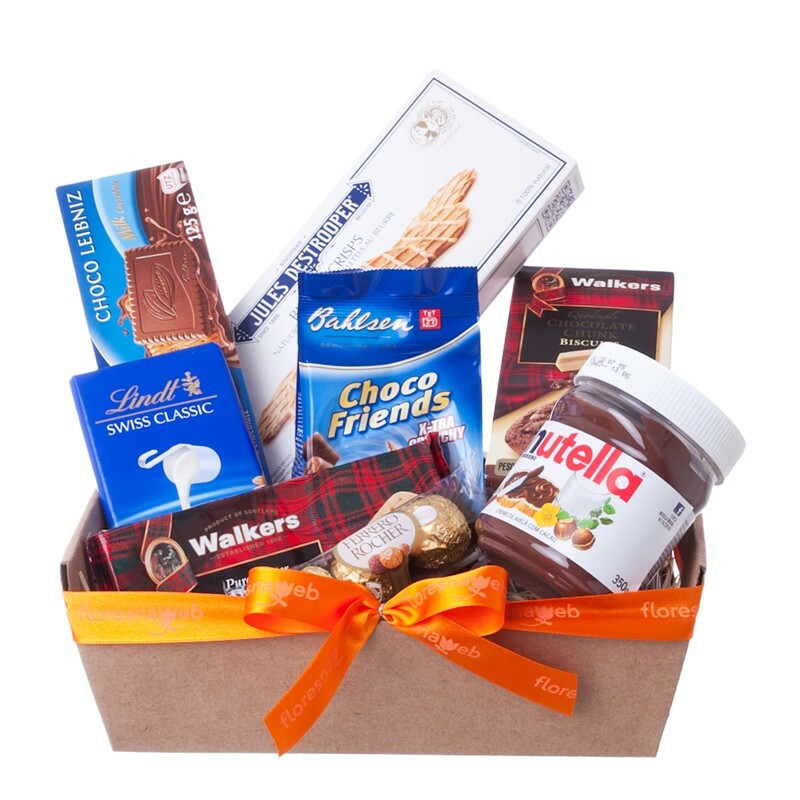 This gift set is composed of chocolates, cookies, biscuits and hazelnut spread from known brands such Lindt, Walkers, Ferrero Rocher, Jules Destrooper and Nutella. No one will resist this mouth watering gift!